The Royal Yacht Britannia in Edinburgh can now offer flexible meeting and conference facilities as part of its suite of hospitality packages. The Royal Yacht Britannia can host meetings aboard the Vine Trust’s Barge, which also is berthed in the Prince of Wales dock in Edinburgh's Leith port, and can be used in conjunction with evening drinks receptions, private tours or corporate dinners on board the Royal Yacht. 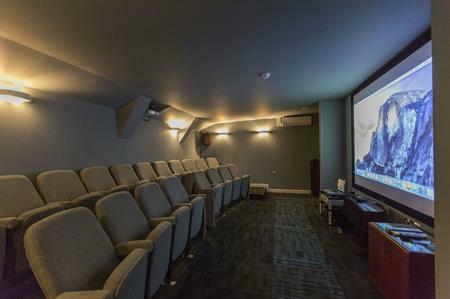 The barge can accommodate up to 60 delegates and boasts a choice of meeting spaces, including the Glass Room, with panoramic views, the 20-seat Cinema Room and the Training Room. There is also an outdoor deck area available. Full facilities are included in the hospitality package, including sound system, projector, screens and smart board. Catering is also provided by Britannia’s onboard team and a dedicated events manager is available. Andrew Thomson, Britannia’s head of hospitality and events, said, "We are delighted to announce this new partnership which, for the first time, will allow us to offer our clients a complete package, with meeting space as well as an exclusive venue for dinner."